The KrisFlyer UOB Account and Debit Card is a product introduced in April 2017 that’s the first of its kind for debit cards. It’s a debit card and savings account that allows you to earn KrisFlyer miles based on your debit card spend and your account balance. However, it fell short of our expectations, as the bank does not offer interest on your savings. Less than a year later, the KrisFlyer UOB and Account has been enhanced, so is it worth your attention now? 1. You now earn interest on the KrisFlyer UOB Account! When the KrisFlyer UOB Account was first launched, no interest was given. For many people, that defeated the point of a savings account. The improved KrisFlyer UOB Account now gives interest at a rate of 0.05%. 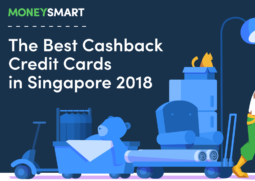 This is on par with many other basic savings accounts in Singapore. This means that the KrisFlyer UOB Account is already better since it awards miles when you spend on the debit card. The KrisFlyer miles earn rate has not changed. 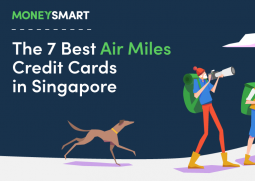 You earn a base 0.4 miles per S$1 spent on the card, and up to 5 bonus miles per S$1 spent which is dependent on your Monthly Average Balance (MAB). Most people won’t earn the 5 bonus miles per S$1 spent because the MAB to maintain is S$350K. But earning 1 bonus miles per S$1 spent is definitely achievable with a minimum of S$3K MAB. Together with the base rate, you would be earning 1.4 miles per S$1 spent which is a fairly decent earn rate in the market. But note that there is a cap imposed (5% of MAB) on the bonus miles earn. The calculation below should make it clearer. Mighty FX is a new digital banking solution from UOB and it’s like having a money changer in your pocket. With Mighty FX, you can save on additional foreign currency conversion costs when you exchange between the Singapore Dollar and 10 foreign currencies. If you’re a frequent flyer, you’ll benefit the most with Mighty FX. 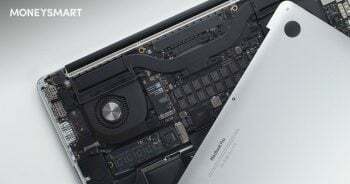 You’ll have a multicurrency wallet that can hold up to 11 currencies, including Australian Dollars, Hong Kong dollars, Euros and US Dollars, with the ability to exchange the currencies on the go with competitive rates. You can also set rate orders to exchange at your preferred rates automatically. 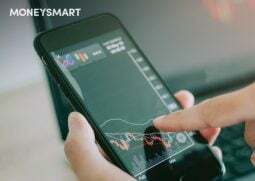 What’s more, you earn 200 KrisFlyer miles each time you convert at least S$1,000 to a foreign currency on your Mighty FX linked to KrisFlyer UOB Account. That’s in addition to the miles earned for spend in both local and foreign currencies. You will also continue to earn interest for both Singapore Dollar and foreign currency balances. Of course, do take note of the terms and conditions behind each of these travel perks. The first 500 new applicants to charge a minimum of $500 on their KrisFlyer UOB Debit Card in a calendar month, as well as maintain a minimum monthly average deposit balance of $5,000 in their KrisFlyer UOB Account will qualify for a complimentary return SilkAir ticket to Phuket. The KrisFlyer UOB Debit Card and Account has definitely changed for the better. With the introduction of Mighty FX, it now makes even more sense for a frequent traveller to take advantage of the enhanced ability of the KrisFlyer UOB Debit Card to transact in multiple currencies without incurring a foreign currency exchange fee. If you want to earn KrisFlyer miles in 2018, and don’t want to get or don’t qualify for a credit card, the KrisFlyer UOB Debit Card and Account are the way to go. Interested in the KrisFlyer UOB Debit Card and Account? Apply here. This article is brought to you in collaboration with UOB.